!! OMG, in THAT case, we better get to work… !! Pfffft! 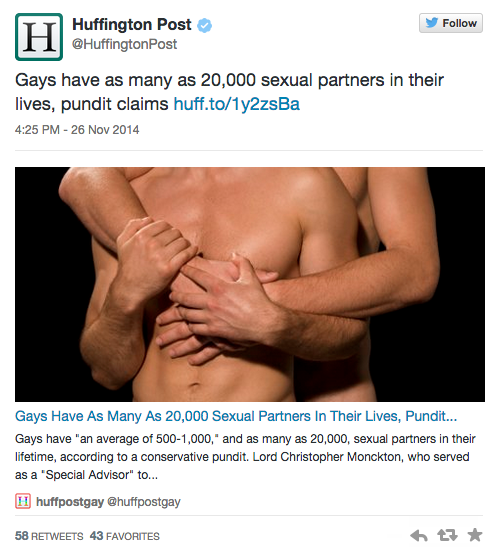 Read the article HERE if you fancy, along with some of the most homophobic tweets from celebrities. 1 Comment on "OMG, in THAT case, we better get to work…"
I wish I had 20,000!!! who came up with that figure, seriously?